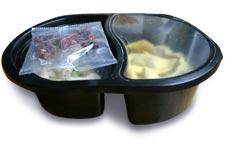 SEALPAC continuously sets new standards, particularly in fresh food applications. These solutions provide greater product safety, attractive presentation at retail, and numerous logistical advantages while ensuring optimal maturation processes, longer shelf life, and efficient production. No matter which SEALPAC traysealer you choose, you will benefit from these innovations in every respect.